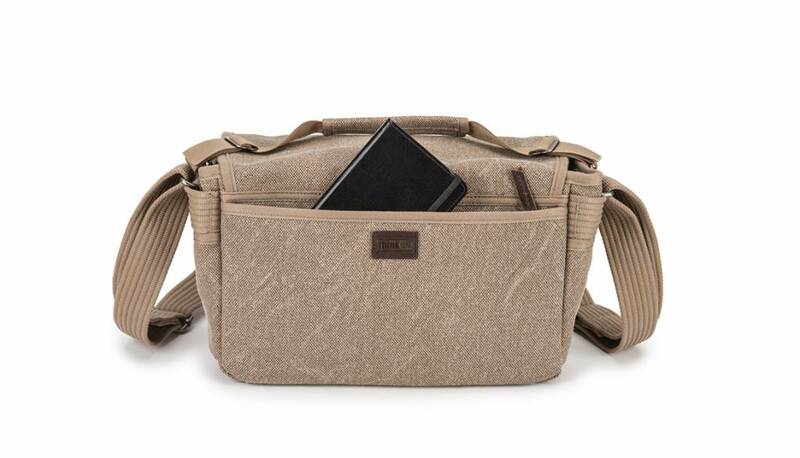 Keep your mirrorless or DSLR camera body, multiple lenses, tablet and accessories in the sandstone Retrospective 6 from Think Tank. 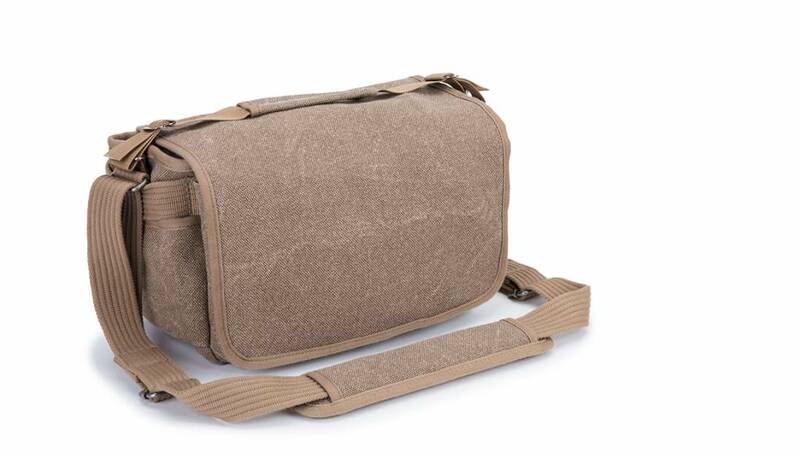 For the photographer needing to carry a camera, several lenses, and accessories, this bag easily carries your gear and related accessories. 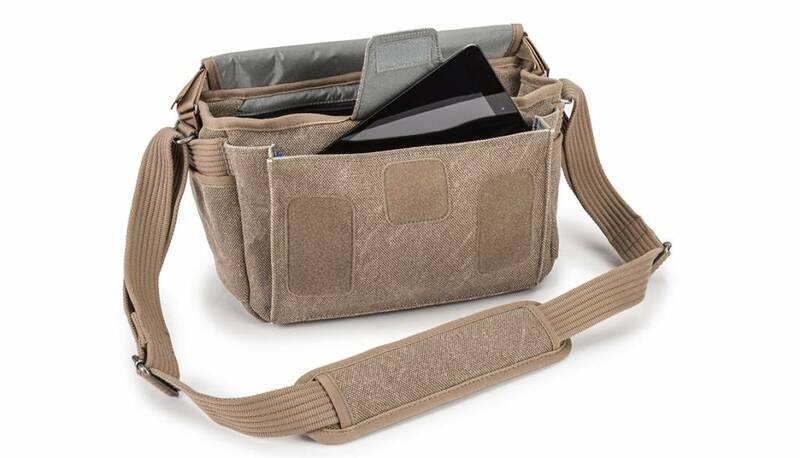 An expandable front pocket fits an 8" tablet or notebook. 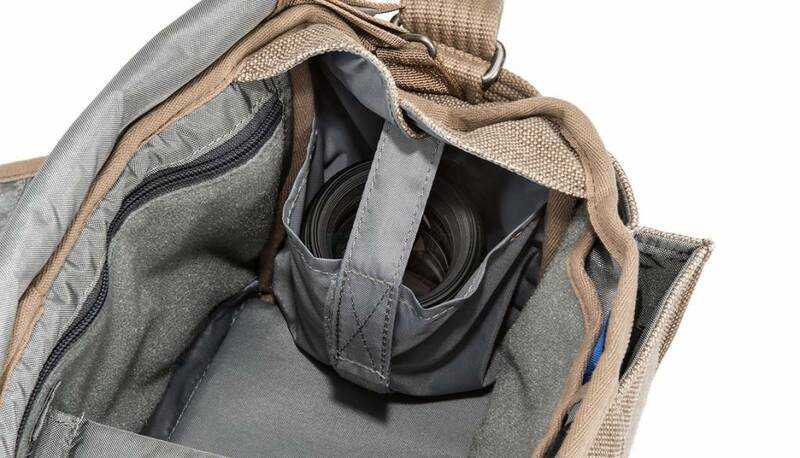 Included sub-dividers and collapsible interior pockets are ideal for organization and added protection to your camera body and lenses. 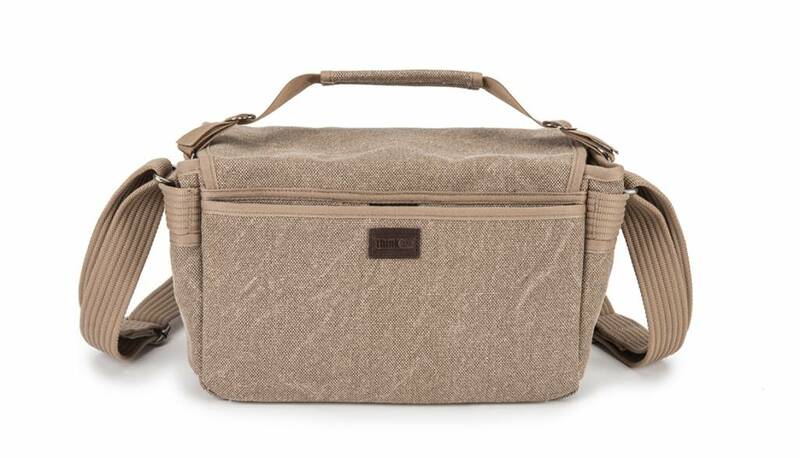 The bag is designed to be wider at the top, measuring at a full 13" for quick retrieval of your gear. 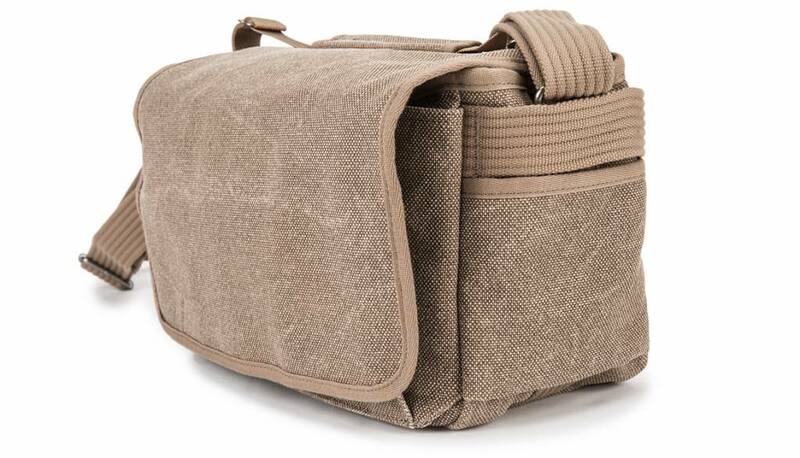 The bag tapering to a smaller measurement at the bottom to help minimize any unwanted bulk. 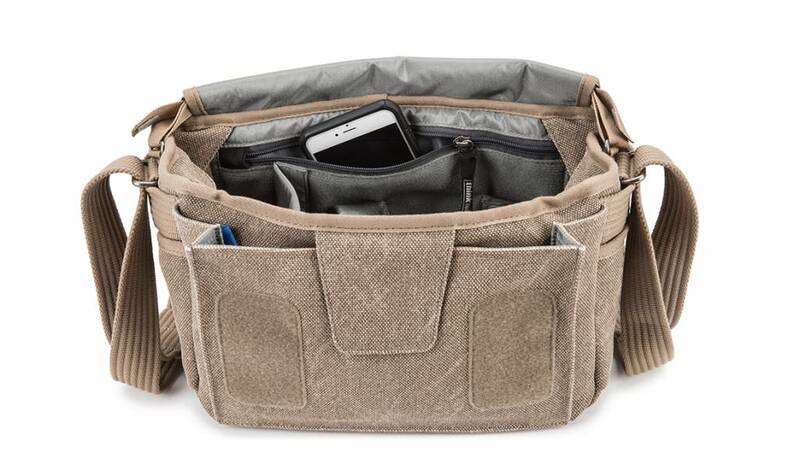 A dedicated organizer pocket on the inside of the bag keeps pens from getting lost, and necessities like batteries, chargers, and a wallet within easy reach. 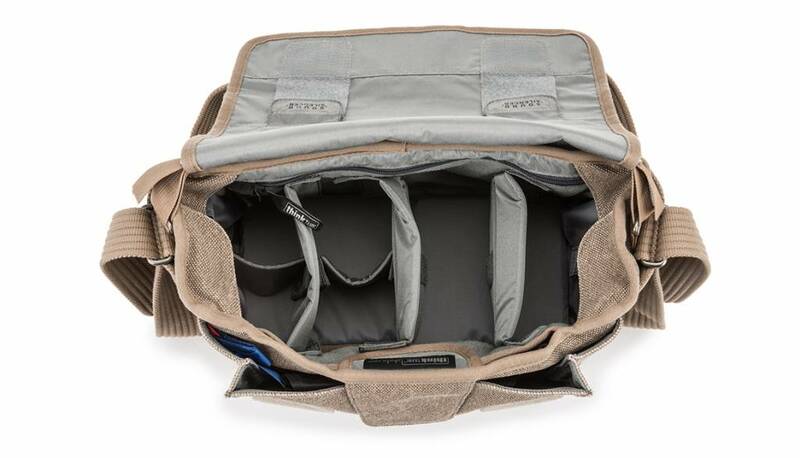 For even quicker access, keep important small items in the wide, rear zippered storage pocket. 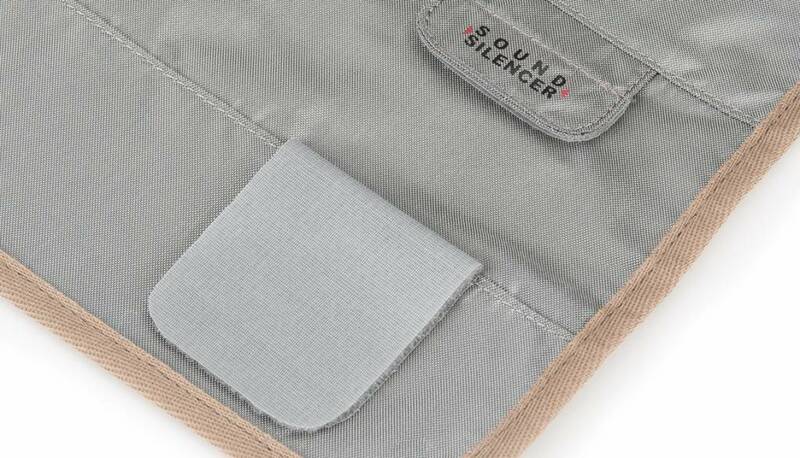 Sound silencers eliminate opening noises, especially useful when photographing a wedding or in quiet venues where you would prefer not to draw attention to yourself. A messenger style flap covers the opening of the bag and provides an added level of protection from wandering eyes and inclement weather. 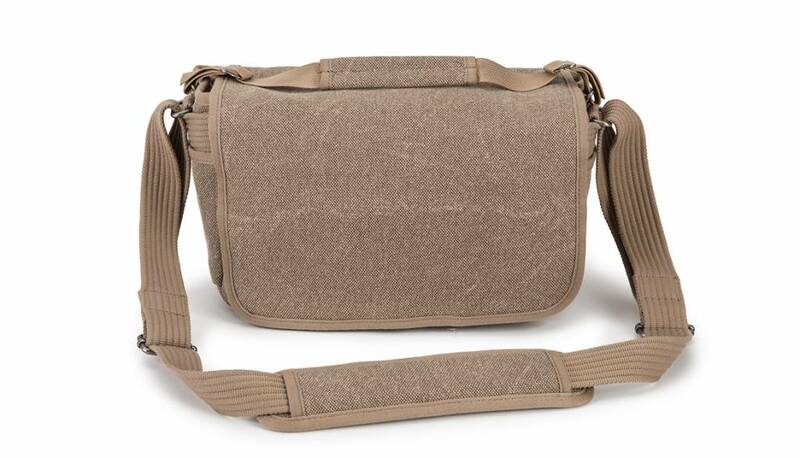 An adjustable shoulder strap with a cushioned non-slip pad ensure your bag will be comfortably worn over one shoulder or cross-body. 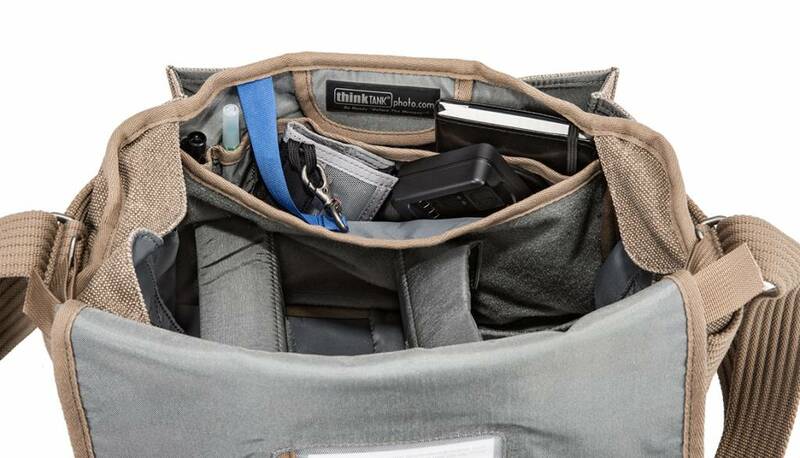 Alternatively, a removable carrying handle allows you to carry the bag as a briefcase. 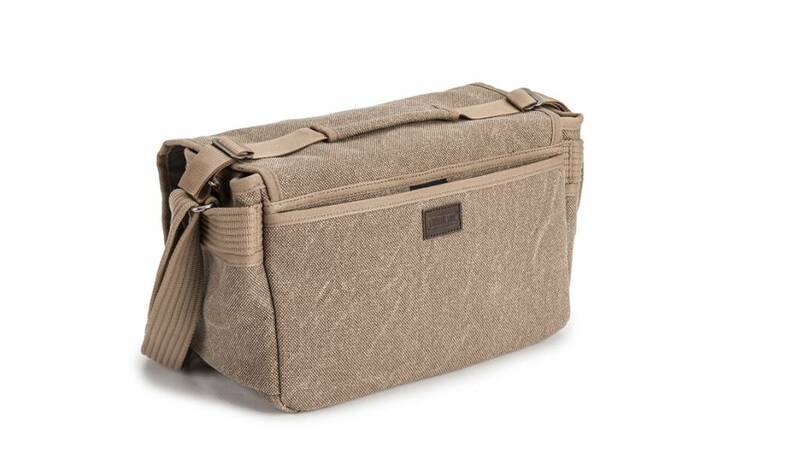 Webbing loops built into the outside of the bag accommodate modular pouches or a carabiner or two while a seam-sealed rain cover protects your gear one step further when caught in the rain or snowstorm.